Cell division is a normal process that takes place in all living things. 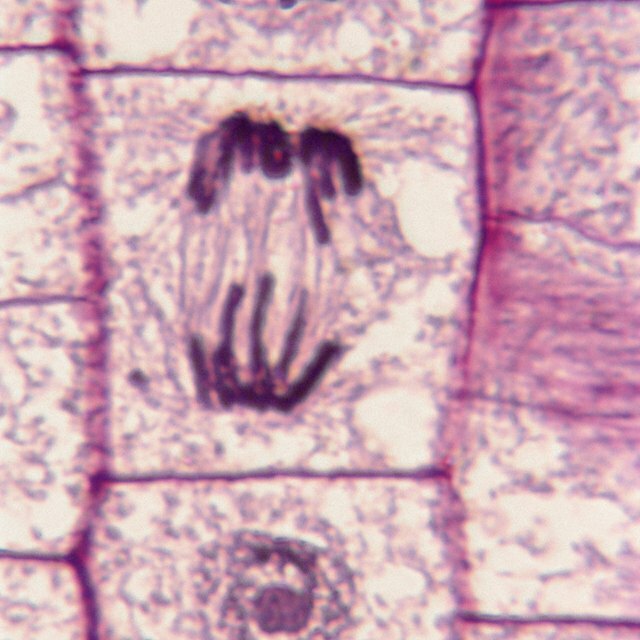 Growth, healing, reproduction and even death are the results of cell division. Several factors cause and affect cell division. Some factors improve health and development while others cause cancer, birth defects, a variety of disorders and even death. The nutrients present in the cell affect cell division. Certain nutrients such as vitamins, minerals and antioxidants are able to neutralize some chemicals in the body that cause cells to mutate and divide. Healthy nutrients obtained from consuming fruits and vegetables help to ensure that cells remain healthy and therefore cell division produces health cells. In the case of microorganisms, nutrients are absorbed from their surroundings. Genetic code regulates cell division. Whether a fetus growing in the womb, a child whose bones are growing or an elderly woman whose bones have begun to break down, the rate and frequency at which cell division occurs is regulated by genetic code. Some people's genetic code causes more cell division than others. For example, one person who grows to be seven feet in height will have more cell division during the growth phase than someone who stops growing at five feet. Exposure to toxic chemicals such as pesticides and some cleaning chemicals can cause cell mutation. When cells mutate and then divide the results are multiple mutated and damaged cells. Mutated cells are the cause of illness and disease. Fortunately there are treatments to kill off cells that were damaged or mutated during cell division. Stress affects cell division. Research shows that extreme stress levels can actually damage cells in the human body. If these cells are damaged yet still undergo cell division, the new cells will also be damaged. This can cause cancer and other diseases. Ricci, Racquel. "Factors Affecting Cell Division." Sciencing, https://sciencing.com/factors-affecting-cell-division-8500919.html. 13 March 2018.